Property Bambi offers 6 fully equipped apartments for 2 to 6 people, located on three floors: ground floor, first floor and attic. 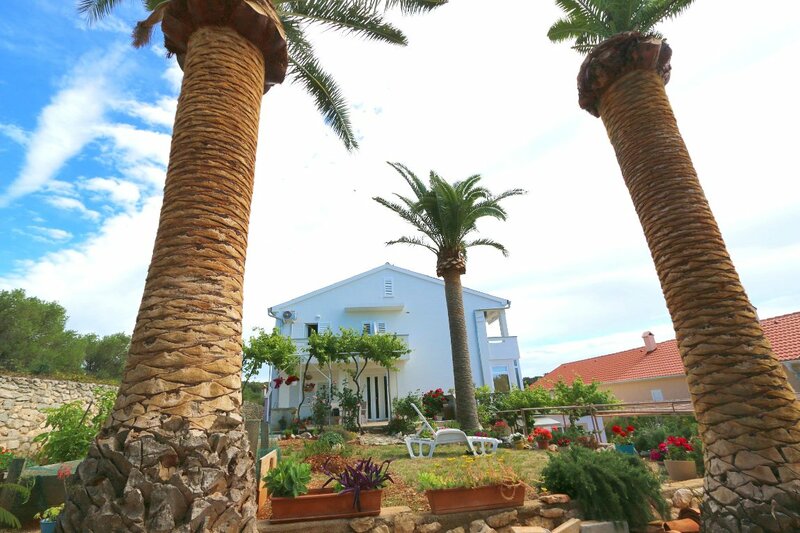 All apartments have balconies overlooking the sea and bay Jakišnica, and behind the house is a large private parking. If you do not want to use this type of accommodation, we offer to you 5 double rooms with double beds, bathroom with shower and are equipped with refrigerators and fans. Rooms have balconies with a beautiful view of the sea. In the nearby of the bay there are many "wild" beaches where you can find peace and enjoy clean water, and transportation to these beaches we will make sure we are at your request. If you are prone to an active vacation and wanted to explore the underwater world, this opportunity is in the nearby dive center where the guidance of experienced instructors and you gain that experience. Apart from diving, you have the possibility to rent bicycles, and as an interesting destination recommend Lunjski olive grove where you can enjoy the sightseeing of olives, including the oldest tree has more than fifteen hundred years! For those who prefer tried out authentic taste, we offer provides you the ability to taste and buy local products such as the famous local cheese or olive oil. These and numerous other opportunities waiting for you, and you just have to decide to visit us. Additional offer: Upon request we serve breakfast. During your stay you can use a 10% discount on food in the small restaurant. N +44° 38' 35" | E +14° 46' 51"